Americans tend to view their Civil War as unique, which is an unfortunate mistake because it fits more conveniently into the pattern of the revolutions sweeping Europe at the time. In the grips of Enlightenment™ thought taken to its natural conclusion, large masses of proles were rebelling against the idea of hierarchical republics, and they want strong centralized governments administering raw democracy instead. The years after the French Revolution brought many changes in Europe, including democratic reforms, but these were adopted into states that were curators of the organic civilizations which birthed them, which led to questions of a Platonic dimension. We might say, for example, that the French government was there to protect Frenchness, or that Bavaria was ruled for Bavarianism. These did not make sense in a universal context in which we wanted human rules applied in such a way that they would be beyond controversy. People wanted to hear about a system, designed for people to be equals who reacted the same way to the same stimulus, so that the system was absolute and therefore could guarantee each individual certain things. They no longer wanted systems outside of the demand of the individual. In other words, when there was an election, they wanted to be able to demand certain things and then have a centralized bureaucratic state deliver them. They wanted absolute rights, not situational interpretations in the context of differing social roles. This fit with what The Enlightenment™ did to the human mind, namely make it think it was the center of all things, and therefore that things were done to it or done for it, but anything else existed merely as a support system for those functions. People feared having certain things done to them that would entail a “loss of face,” an old Asiatic concept that means being embarrassed in public and as a result, considered lower in the informal social hierarchy. Losing face is like failing and being demoted in one instance. The face-saving ideal constitutes a revolt against natural talent. Instead of being judged by successes, one is penalized for failure, and the failure is in the eyes of the social group and not merely those experienced enough to gauge actual personal quality and recognize that some failure comes with any victory. In order to avoid losing face, people like strong authority. It gives them a built-in defense: “I did as I was told.” This converts peacocks into insects because each individual depends on the group for approval, or rather, to not remove approval. For this reason, Enlightenment™ thought goes through several stages. It starts with rugged individualism, but then some are left behind, so it becomes political equality so that no one is held back by social order, natural law, religious values, culture, or the family. From there, it mutates further so that equality becomes enforced by a centralized authority which is certain to give every person the exact same treatment. This civil rights agenda came about in Europe as the next stage after the French Revolution. It was not enough simply to liberate people; they needed government to enforce equality on other people around them, so that in the new liberated times, the old hierarchies did not simply form again as people noticed that others were different. In fact, others are different in ability, which creates hierarchy. As this wave of revolutions went through Europe, it updated what the French Revolution had demanded. It could not do with simply overthrowing the monarchy and creating a facilitative state, as classical liberals wanted. The state had to actively ensure that everyone was made equal. This appealed to the factory workers, bureaucrats, cubicle slaves, and traders of the Northeast, but did not find much support in rural areas where people were producers who relied not on making other people like what they said and did, but in making productive results happen. Slavery may have been the pretext for war, but the war actually resulted from underlying tensions which finally came to a boil. These included Northern tariffs designed to destroy Southern industry, seizure of Southern wealth, States’ Rights and interstate commerce, hierarchical versus uniform social structures, and egalitarianism versus cultural identity. When it was all over, the North won the battle but the South won the argument. Small consolation, indeed, for those who saw their country conquered, people ravaged, women raped, cities burned, farms taken, and a new order of carpet-baggers and diversity candidates ruling them until years later they were able to achieve independence through strength of industry, mostly by rejecting unions which fit with the Northern idea of collective bargaining achieving equality for all independence of quality of productivity and ruled by centralized authority. When we look at the Civil War in context, we see that history was fooled. Slavery was the touchstone, but not the issue, and Robert E. Lee knew that the North had chosen that pretext in order to force the South to war, since confiscation of its slaves would have bankrupted its industry. We are told that the Southerners were mere racists who wanted to enslave black people simply from racism, but this is merely Northerners bleating the propaganda that enabled them to motivate themselves to war. The South saw the North as a consuming force which rendered everything into ugly tenements and destroyed social values, and wanted to be apart from it entirely. As it turned out, within a generation industrialization would replace slavery, and the South could have continued on its path with no great harm to anyone. Slavery, in contrast to the public view, grew out of the European institution of feudalism, and gave lower IQ workers guidance and permanent pensions instead of letting them loose to the make poor life decisions and end up impoverished. Currently, it is taboo to recognize the positive contributions of General Lee, but that tells us mostly that we live in an ideological regime. In the 1860s, by converting from natural rights to civil rights, America turned itself from the curator of a culture to a society dedicated to enforcing the ideology of equality. What do unions, egalitarianism, industrialization, civil rights, and ideology have in common? These are mass mobilization techniques based not on the natural agenda of rewarding those who do well, but on the insistence that everyone can participate without losing face in exchange for obedience. Instead of the graceful hierarchical structures of nature, one gets a centralized authority which commands and a vast mass of faceless people who must obey. These herd-members are rewarded for obedience, not natural excellence, which erases the differences between people. It has taken almost two centuries, but people are starting to see how the Civil War was lost through victory. We liberated everyone, but in doing so, we enslaved ourselves to mass culture and centralized manipulation. We took the path of tyranny. 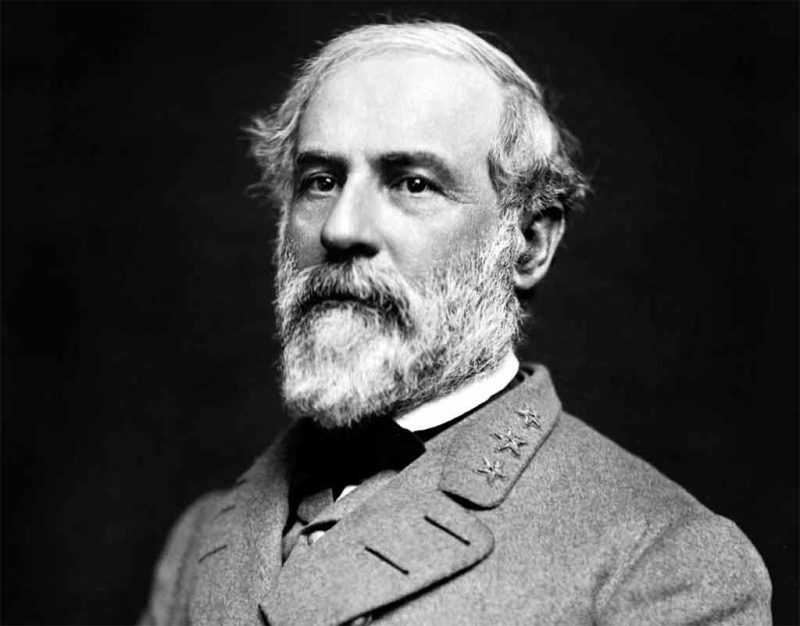 As we remember Robert E. Lee, it makes sense to recall the nuanced and complex vision for which he fought, and to notice how its opposite has destroyed the prospects of Western Civilization by imposing an Asiatic order of face-saving instead of an aspirational culture.